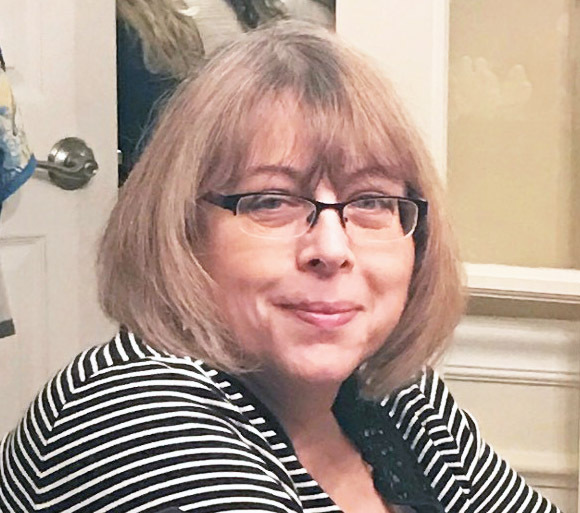 Christine Belloma age 61 of Neville Island passed away April 13, 2019. She was born in Pittsburgh Feb. 13, 1958 to the late Dorothy Policz and Leonard Jacobs. Christine was a Customer Service Rep with Fireplace and Patio Place, she was a member of St. Joseph Church, enjoyed doing crafts, baking and gardening. Christine is survived by her children; Tara Belloma and Gerald Belloma III both of Neville Island, a sister; Jacqueline Bolster, Neville Island, a niece; Jennifer Herr, Pittsburgh also a great nephew, Jacob Herr, Pittsburgh; avid dog lover she will be missed by her dogs, Roxy, Benny, Cheyenne and Gracie. She was predeceased by her husband Gerald J. Belloma Jr and a brother Garry Jacobs. Family will receive friends Mon. 4-8PM at the Copeland Coraopolis Funeral Home, where Prayers will be recited Tuesday at 9:30AM followed by a 10AM Mass of Christian Burial in St. Joseph Church with burial in St. Joseph Cemetery. In lieu of flowers donations to Susan Komen Breast Cancer Foundation will be appreciated.